Getting a new piercing is a great way to express yourself without committing to the long run. A piercing is easily customizable with your favorite piece of jewelry. It’s still early in the year, but there are some piercings that are starting to make its presence. You might have already heard of “the smiley“, if you haven’t we tell you everything about it today. Today, we share with you some of the piercing trends for 2016. This funny name makes allusion to the exact occurrence that happens once a person smiles: the piercing shows. This piercing is done inside your upper lip, on that little web. The jewelry is incognito and only appears if the person smiles. Even though it heals quickly, it’s always important to keep in mind that piercings in the mouth are delicate and should be considered thoughtfully when getting one. This piercing seems to be coming in strong for this year 2016. Instagram is overflowed with snaps of girls and women flaunting multiple piercings. The trend seems to mix-and-match jewelry in different locations, such as ears and nose. Having more holes allows you to have more places to put pretty jewelry. It’s easy to tweak and gives you a super personal look with easy healing piercings (if you go with the ears). Of course that we couldn’t leave out of the top 3 this piercing. Even though it made its big appearance last year, it’s still coming in strong this year. 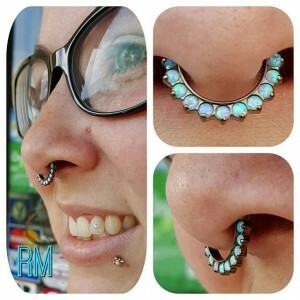 Artists are easily making 10 to 15 septum piercings a day. 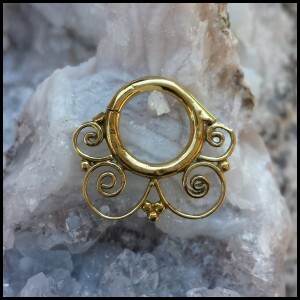 We offer some rocking looking septum rings that are worth checking out. Mantra Tattoo is Colorado’s best premiere full-service tattoo shop with a large variety of high-quality jewelry and clothing. Visit us to pick up a beautiful piece of body jewelry and get pierced by one of our professional body piercers. 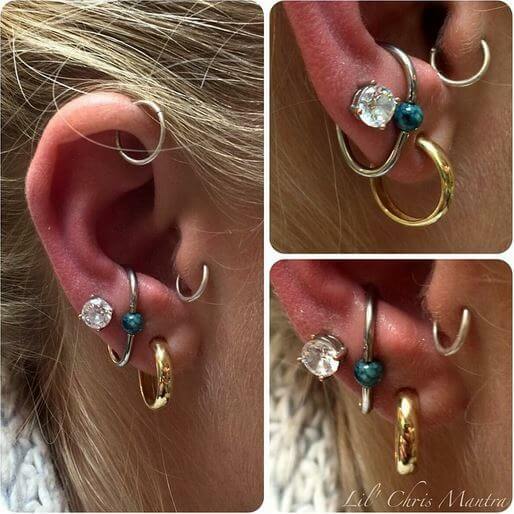 Read more about our top-notch piercing jewelry and check out some cool pieces.